We are just back from Orlando. After FFL we had a little fun games and fireworks. 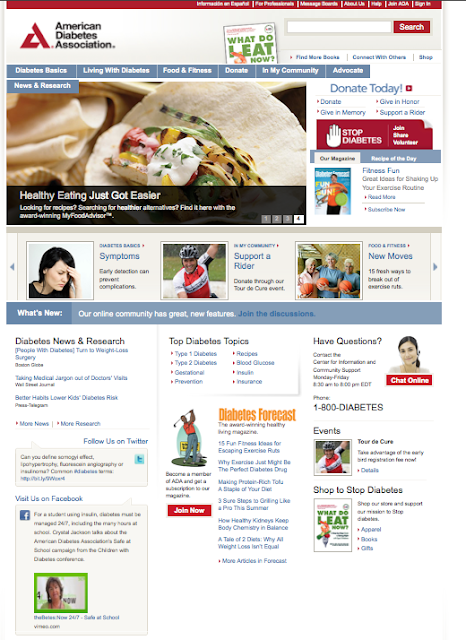 We come home to see that one of theBetesNow.com videos we made at Friends For Life is featured on the American Diabetes Association's home page. WoHoo! theBetesNow is by and for people living with type 1. Our goal is to share short often humorous bits that are not Charlie Brown's teacher. You know, "Wa Waa Wa WAA Wa wa Wa WA." theBetes:Now Top 7 - Least Likely Places to Find a Test Strip 2 from thebetes now on Vimeo. Thanks ADA for joining in with a little less frivolous bit on school safety, I grabbed a screen capture just to have a souvenir.